ALLEGIANCE is an interesting novel by Kermit Roosevelt* that explores a number of issues, most important of which is the power of the presidency and the federal government during wartime. Roosevelt, a professor of constitutional law at Pennsylvania’s Law School and a former Supreme Court clerk is eminently qualified to explore this topic and provides interesting insights into the legal arguments, interpersonal relationships, and issues of national security that still reverberate today. The novel opens with the bombing of Pearl Harbor and its aftermath as Casewell “Cash” Harrison, a law student at Columbia University, and many of his generation contemplate their future – to join up or wait to be drafted. Cash, a scion of rich Philadelphia society tries to balance loyalty to his country and devotion to his fiancé, Suzanne as he tries to come to grips with the Japanese attack. He decides to enlist, disregarding the advice of his parents, Suzanne, and her father who is a federal judge, but is rejected and is classified 4-F. Soon his life takes a major turn as he is offered a clerkship with Supreme Court Justice, Hugo Black. Upon arriving in Washington, Cash witnesses a capitol city mobilizing for war and he suffers tremendous guilt that so many of his friends and men his age are off to war, and he is dealing with writs of certiorari or certs involving lower courts being ordered to deliver its record in a case so a higher court, in this case the Supreme Court may review it. There seem to be a number of story lines that intersect throughout the novel. First, Cash must balance pressure from his fiancée, her father, and his own family in Philadelphia to leave his clerkship and return home. Second, Cash’s fears that he is being followed and spied upon which relates to the certs that Supreme Court clerks review. Third, the issue presented in the Supreme Court case, Hirabayashi v. United States which involves whether the “military can confine citizens to their homes, and then later order them to leave those homes, to leave the states in which they have always lived.” It involves executive power and whether the “constitution protects civilians from military authority outside an active theater of war.” In all three story lines, Cash believes that he is in danger, and as the novel evolves his position becomes increasingly precarious. In developing the novel Roosevelt does a fine job integrating many important historical figures such as members of the Supreme Court, Felix Frankfurter and Hugo Black in particular, Attorney General Francis Biddle, FBI Director J. Edgar Hoover, Solicitor General Charles Fahy and Karl Bendetson, an aid to General Dewitt, the head of Japanese “relocation centers,” who was a specialist on the threat posed by enemy aliens and native fifth columns. These figures seem to come alive as Roosevelt includes legal documents that reflect their opinions and arguments, in addition to historical vignettes about the justices. The author also creates fictional characters, the most important of which are Cash and his fellow clerks, Gene Gressman, Clara Watson, John Hall, the liaison between the War and Justice Departments, and Colonel Bill Richards of the Anti-Federalist Society. From the outset Cash thinks he is being shadowed by the FBI or others and grows concerned. After he is beaten up he and Gressman try to flush out why the people who are after him call him a traitor. The conclusion they reach is that there is something underhanded taking place in the way that individuals are chosen as clerks for certain justices, particularly when chosen clerks are drafted and replaced by secondary choices. They reason that information about certs are leaked to business interests providing inside information about which cases will be heard by the court and knowledge of how the decisions will be rendered. Obviously, if business interests have this information then they will trade stocks in a certain manner before a decision comes down. When it appears that one of the clerks has been murdered Cash decides to forgo returning to Philadelphia and joins the Justice Department in his quest to uncover what is transpiring within the court. Roosevelt creates another major story line as Cash moves to work under Attorney General Biddle in the Aliens Enemy Unit. Cash’s work for the Aliens Enemy Unit fosters a visit to the Tule Lake Relocation Camp and crystalizes the issues that confronts the Justice Department. Cash immediately learns that the War Department has been lying since Pearl Harbor concerning the Japanese domestic threat and they have a mole within the Justice Department and this impacts Supreme Court cases dealing with the evacuation of Japanese into camps. Cash’s job is to justify the evacuation of the Japanese, but he cannot bring himself to do so. 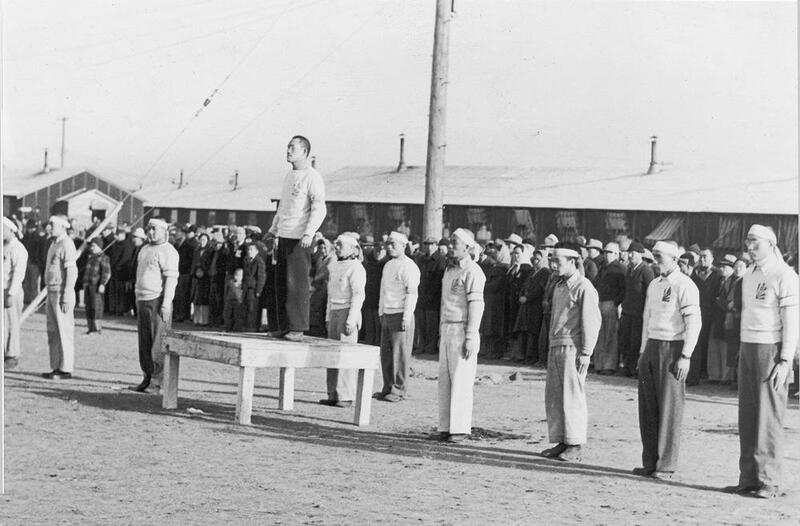 This battle over the camps reflects tremendous research as the characters narrative seems to reflect the opinions of the day and members of the Supreme Court, the F.B.I. head and others reappear with their own agendas. Cash’s dilemma is how does his work on the Alien Enemies Unit relate to the death of a Supreme Court clerk, and how does he deal with the danger of going against the War Department as he visits the Tule Lake facility a second time. It appears that each cover-up led to a new crime, and Cash is trying to discern what is happening. Roosevelt has written a novel about an important subject however at times the development of the story leads to some stilted dialogue, and over description of certain scenes and characters that make the plot seem overblown. At times the plot is difficult to follow and should have been a bit tighter to avoid confusion on the part of the reader. The book has a great deal of potential because of the nature of the subject matter, but the story is somewhat uneven and could have been streamlined. For those who want a realistic presentation of the difficulties the government faced, from a legal and moral perspective in dealing with Japanese internment during World War II Roosevelt’s work will be satisfactory, but keep in mind there will be some obstacles to overcome, but in the end they may be well worth it. *Kermit Roosevelt is the great-great- grandson of President Theodore Roosevelt and the great-grandson of Kermit Roosevelt, the main CIA operative in the Middle East that overthrew the Iranian government in 1953 and placed the Shah on the throne-depicted in his book COUNTERCOUP. Further his great-grandfather was probably involved with placing Gamal Abdul Nasser in power in Egypt. In 1896 Mark Twain faced a debt of $79,704.80 to assorted creditors with his publishing firm Charles L. Wilson and Company and his investment in a new style of typesetting as being his most egregious. The debt was substantial and would calculate to roughly $2,220,474.90 in today’s dollars. This large amount served as the motivating force behind Twain’s round-the-world stand-up comedy tour between 1895 and 1896. In the appendix of Richard Zacks’s new book, CHASING THE LAST LAUGH: MARK TWAIN’S RAUCOUS AND REDEMPTIVE ROUND-THE WORLD COMEDY TOUR Twain’s debts are listed individually and one gets the feeling that this iconic and brilliant observer of the human condition was a rather poor investor. Twain would travel across the American west, Australia, New Zealand, Tasmania, India, Ceylon, and South Africa in an attempt to take his fees and eradicate as much of the debt as possible. This global journey which at times reads like a Rick Steeves travelogue is described in delicious detail by Richard Zacks who allows Twain’s own words, recorded in letters, newspaper accounts, and his own notebooks tell the story of their journey. The journey concluded in England where he wrote a travel book about his experiences in another attempt to reduce his debt. Twain who hated to perform on stage was America’s highest paid author and one of America’s biggest investment losers. He would perform 122 nights in 71 different cities, in addition to spending 98 nights at sea of which he was afflicted with a myriad of illnesses including repeated bouts with painful carbuncles during his tour as he used a number of pre-modern and modern conveyances to earn enough money to “talk his way out of hell and humiliation” of losing his entire fortune and a good part of his wife Livy, a coal heiress’ wealth also. Zacks describes the initial success of his publishing company publishing the memoirs of Ulysses S. Grant and other works, but this profitability succumbed to embezzlement, poor choices of publications, and the death of Henry Ward Beecher before he could complete his memoirs. Compounding Twain’s problem was that the United States was in the gripe of the Depression of 1893 creating the fear that Twain could not only loose his publishing house, but also the copyrights to his writings, his life’s blood. Twain also faced loses on Wall Street after sinking money into inventions that proved to be expensive failures. 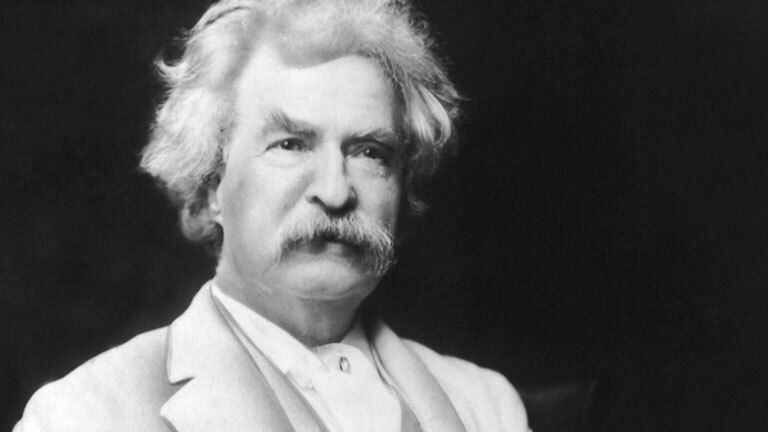 Zacks does a nice job reviewing Twain’s financial machinations and his relationship with H.H. Rogers, a partner in Standard Oil who befriended the insolvent author and tried to “bring Mr. Clemens” to some sort of financial solvency, the key to which was declaring bankruptcy for his publishing company, and transferring his copyrights and other assets to his wife Olivia Livy as a means of hanging on to his life’s work. After spending the first part of the book describing Twain’s financial travails Zacks prepare what appears to be an annotated travelogue of Twain, his wife Olivia and their daughter Clara as they work their way across the western United States and board ship for Australia and beyond. Twain’s humiliation was complete before he left on his journey as the New York State Supreme Court pronounced a judgement against him of $31, 986, and Twain grew ill from the idea that he was a pauper and thanked god that no laws against the indigent existed in the Empire State. Once the journey commences Zacks does a commendable job integrating Twain’s written material and comments into the narrative as he performs on tour. * Twain grew stressed when certain audiences expected a comedy routine as opposed to his normal literary and societal aspects of his presentations. 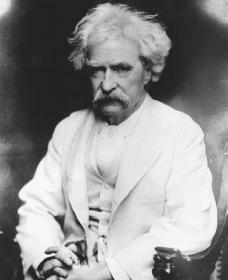 Though negative comments and reviews were few and he was broadly praised throughout, Twain was very sensitive to criticism though his approach of just “chatting” with his audiences as technique was very successful. Throughout the journey Twain grew depressed he would never be able to repay his debts, but his wife Livy and Rogers were able to temper his feelings and control his finances. The best description of Twain during his journey was offered by Carlyle Smythe, his agent in India, he states that Twain is “a sedate savant who has been seduced from the path of high seriousness by a fatal sense of the ridiculous.” When the arduous tour finally came to an end, Twain was overjoyed stating “that the slavery of it….is so exacting and so infernal’ and hoped never to experience it again. Twain’s observations throughout the book are interesting as his comments range from the ecology of Australia, the wonders of India, especially their “colorful costumes,” to the Anglo-Boer conflict raging in South Africa. What is surprising is that Twain, known in the United States as an anti-imperialist had nothing but praise for the British Empire, particularly as it related to India causing him to be blind to the oppressions and the humiliations of English rule. To Twain’s credit he did comment negatively concerning the machinations of Cecil Rhodes and British policy in South Africa. The book also served as a form of therapy for Twain when his daughter Susy died of spinal meningitis in the United States while he was writing and he could not be with her or attend the funeral. He castigated himself for creating the debt that forced the family to separate for the world tour to earn enough money to rectify the family’s financial situation. Overall the book makes for a fascinating read about one of America’s most important humorists and literary figures and zeroes in on the trials and tribulations that Twain and his family suffered very late in his career. 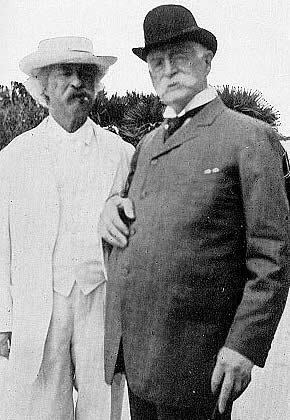 Twain was able to overcome his debt situation thanks to his good friend H. H. Rogers, an executive for Standard Oil, and in the end pay he would pay off all of his debts and live a life free of financial worries. *For those interested in researching Twain’s life in detail the University of California press has published over 2000 pages of Twain’s daily dictations written between 1907 and 1909 encompassing his entire life in the form of an autobiography. The three volumes are edited by Benjamin Griffin and Harriet Elinor Smith and are the first comprehensive edition of all Mark Twain’s work fully annotated by the editors of the Mark Twain Project at the University of California. In 1896 Mark Twain faced a debt of $79,704.80 to assorted creditors with his publishing firm Charles L. Wilson and Company and his investment in a new style of typesetting as being his most egregious. The debt was substantial and would calculate to roughly $2,220,474.90 in today’s dollars. This large amount served as the motivating force behind Twain’s round-the-world-stand-up comedy tour between 1895 and 1896. In the appendix of Richard Zacks’ new book, CHASING THE LAST LAUGH: MARK TWAIN’S RAUCOUS AND REDEMPTIVE ROUND-THE WORLD COMEDY TOUR Twain’s debts are listed individually and one gets the feeling that this iconic and brilliant observer of the human condition was a rather poor investor. Twain would travel across the American west, Australia, New Zealand, Tasmania, India, Ceylon, and South Africa in an attempt to take his fees and eradicate as much of the debt as possible. This global journey which at times reads like a Rick Steeves travelogue is described in delicious detail by Richard Zacks who allows Twain’s own words, recorded in letters, newspaper accounts, and his own notebooks tell the story of their journey. The journey concluded in England where he wrote a travel book about his experiences in another attempt to reduce his debt. Since we are in the midst of a presidential election and it appears that Hillary Clinton will be the Democratic nominee it is important to evaluate and understand her approach to foreign relations. Landler does the American electorate a service as his book is a useful handbook in understanding and getting an idea how she would approach the major foreign policy issues that America currently faces should she assume the oval office. By comparing her with Obama we gain important insights into her thinking and how she would implement her ideas. It is clear during Obama’s first term that Clinton was the “house hawk” within his administration as she supported increases in troop deployments to Afghanistan which Obama reluctantly agreed to, but only with a set time limit; she wanted to leave a large residual force in Iraq after American withdrawal which Obama did not do; she favored funneling weapons to rebels in Syria fighting Assad as well as the creation of a no fly zone which Obama opposed; and lastly, she favored the overthrow of Muammar al-Qaddafi and the bombing of Libya when he threatened to destroy Benghazi which Obama reluctantly agreed to. Their difference are clear, Obama believes that the United States is too willing to commit to military force and intervene in foreign countries, a strategy that has been a failure and has led to a decline in America’s reputation worldwide, a reputation he promised to improve and has been partly successful with the opening to Cuba and the nuclear deal with Iran. For Clinton the calculated employment of American military power is important in defending our national interests, and that our intervention does more good than harm, especially in exporting development programs and focusing on human rights. 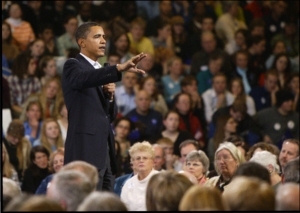 Obama arrived on the scene as a counterrevolutionary bent on ending Bush’s wars and restoring America’s moral standing. He no longer accepted the idea that the U.S. was the world’s undisputed “hegemon” and shunned the language of American exceptionalism. Clinton has a much more conventional and political approach, “she is at heart a ‘situationist,’ somebody who reacts to problems piecemeal rather than fitting them into a larger doctrine.” Her view is grounded in cold calculation with a textbook view of American exceptionalism. Landler describes the difficulties that Clinton had adapting to the Obama White House that is very centralized in decision-making and she had difficulty penetrating Obama’s clannish inner circle. The author also does an excellent job explaining the main players in Hillaryland and the Obama world that include Obama’s whiz kids, Denis McDonough and Ben Rhodes, and Clinton’s staffers Jake Sullivan and Huma Abedin. Since Obama was a self-confident president who had a tight grip on foreign policy, Clinton spent most of her time implementing the strategy set by the White House. During the first two years of the Obama administration Clinton pursued a global rehabilitation tour to patch up the mess that Bush left. During her second two years she did more of the heavy lifting on sensitive issues like Syria, Libya, Iran, China, and Israel which Landler dissects in detail. From her UN women’s conference address in Beijing during her husband’s administration, her lackluster attempts at bringing peace between the Palestinians and Israel, developing and implementing sanctions against Iran, her support for the rebels in Syria, and the overthrow of Qaddafi, we get unique insights into Clinton’s approach to foreign policy. Landler presents a number of important chapters that provide numerous insights into the Obama-Clinton relationship. 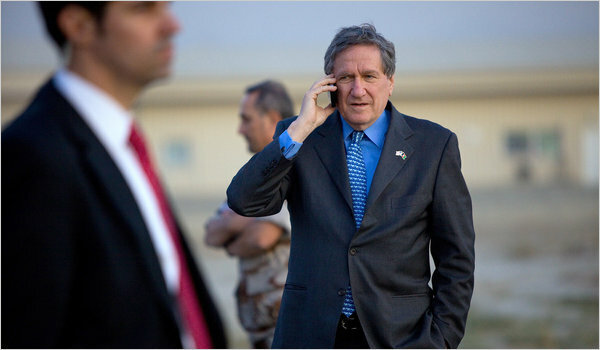 Particularly important is the chapter that focuses on Richard Holbrooke, a career diplomat that dated back to Vietnam and ended with his death in 2010. A swash buckling man who did not fit into the Obama mold was brilliant, self-promoting and usually very effective, i.e., the Dayton Accords in 1995 that ended the fighting in Bosnia. He hoped as Clinton’s special envoy for Pakistan and Afghanistan to help mediate and bring some sort of closure to the conflict with the Taliban. Holbrooke rubbed Obama the wrong way and was seen as the epitome of everything Obama rejected in a diplomat and Clinton who had a very strong relationship with Holbrooke going back many years spent a great deal of time putting out fires that he caused. Another important chapter focuses on administration attempts to mediate the Palestinian-Israeli conflict. For Clinton it was a no win situation for a person who represented New York in the Senate and planned to seek the presidency on her own. Obama would force her to become engaged in the process along with special envoy, George Mitchell, and she spent a great deal of time trying to control the animosity between Obama and Israeli Prime Minister Benjamin Netanyahu. Landler’s discussion of the Obama-Netanyahu relationship is dead on as the Israeli Prime Minister and his right wing Likud supporters represented the colonialism that Obama despised. For Netanyahu, his disdain for the president was equal in kind. In dealing with the Middle East and the Arab Spring Clinton argued against abandoning Egyptian President Hosni Mubarak as she believed in the stability and loyalty to allies, Obama wanted to be “on the right side of history,” and in hindsight he was proven to be totally wrong. These views are polar opposites and helps explain Obama and Clinton’s frustration with each other that form a major theme of Landler’s narrative. Perhaps Landler’s best chapter deals with the evolution of Syrian policy. Internally Clinton favored aid to the Syrian rebels which Obama opposed during the summer of 2012. However, when Obama decided to walk back his position on the “Red Line” that if crossed by Assad through the use of chemical weapons, the US would respond with missile attacks. Once this policy changed to seeking Congressional approval for any missile attack, the United States gave up any hope in shaping the battlefield in Syria which would be seized by others eventually leading to ISIS. Obama needed Clinton’s support for this change. Though privately Clinton opposed the move, publicly at her own political risk she supported the president. This raises the question; how much difference was there in their approach to foreign policy? It would appear that though there were differences, Clinton was a good team player, even out of office, though as the 2016 presidential campaign has evolved she has put some daylight between her and the president. From Obama’s perspective, though he disagreed with his Secretary of State on a number of occasions he did succumb to her position on a series of issues, particularly Libya, which he came to regret. The bottom line is clear, Clinton kept casting around for solutions for the Syrian Civil War, however unrealistic. Obama believed that there were no solutions – at least none that could be imposed by the U.S. military. Another example of how the two worked together was in dealing with Iran’s nuclear program. They both agreed on the approach to be taken, a two track policy of pressure and engagement. Clinton played the bad cop enlisting a coalition of countries to impose punishing sanctions while the President sent letters to the Supreme Leader and taped greetings to the Iranian people on the Persian New Year as the good cop! But, once again they appeared to be working in lock step together. The question proposed at the outset of this review was whether President Obama chose Hillary Clinton so he could keep her within the “tent” as Abraham Lincoln did. After reading ALTER EGOS there is no concrete conclusion that one can arrive at. Even at the end of Clinton’s term as Secretary of State two major diplomatic moves were made; the groundwork that would lead to a restoration of relations with Havana and an opening with Burma took place. 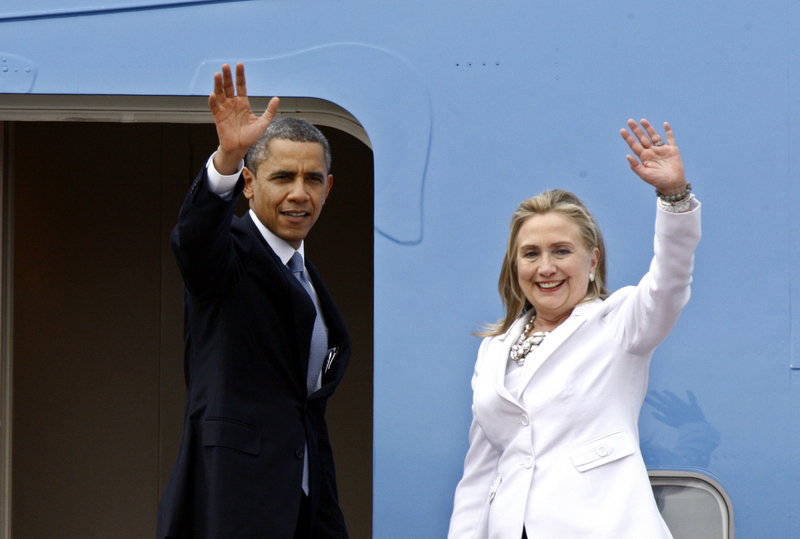 In both cases the President and Clinton were on the same page, therefore one must conclude that though there were some bumps in the road, publicly, Obama and Clinton pursued a similar agenda and were mostly in agreement. As a result, it would appear that they are more similar than different and that the “team of rivals” concept may not fit. It seems the title ALTER EGOS could give way, perhaps to THE ODD COUPLE, a description that might be more appropriate. As the presidential election season unfolds Republicans are faced with a candidate that calls for a major shift away from its roots that emerged in the 1980s. During the primary season when candidates fought for the mantle of Ronald Reagan, another candidate introduced us to Trumpism. What Trumpism purports to be is anyone’s guess, but it certainly does not conform to the ideology that was the core of Reaganism. Thomas Mallon’s latest historical novel and ninth book, FINALE: A NOVEL OF THE REAGAN YEARS explores the last few years of the Reagan administration focusing on the Gorbachev-Reagan relationship and nuclear diplomacy, the developing Iran-Contra scandal, and the domestic politics of the period. In doing so Mallon has conducted a tremendous amount of research that produces a novel, aside from a few fictional characters that is essentially historically accurate. Mallon writes in a breezy manner that captures Washington’s political and social world and allows the reader to experience hard ball politics, cattiness, and all the emotions that are on display on a daily basis as the Reagan administration and its supporters and detractors strive to achieve their agenda. FINALE is a wonderful blend of history and fiction that begins with Richard Nixon watching the 1976 Republican national convention on television offering negative comments about Nelson Rockefeller, Gerald Ford, Henry Kissinger, and Ronald Reagan. Mallon immediately introduces us to the former president who only two years after resigning his office is calculating how to restore his reputation. Mallon focuses a great deal of attention on Nixon as he tries to influence the nuclear diplomacy of the period through a wonderful fictional character, Anders Little, an Assistant Director, Arms Control, National Security Council, who on the one hand becomes Nixon’s mole throughout the nuclear talks at Reykjavik, Iceland, and on a personal level is trying to figure out his own sexuality. Nixon comes across as a very solicitous husband in dealing with his wife Pat’s health who experienced two strokes over a short period of time. But when one thinks of how Nixon treated her during most of their marriage I wonder if Mallon was trying to humanize the disgraced president or pose comic relief. Mallon does not miss a beat as his characters take verbal swipes at each other throughout the dialogue. 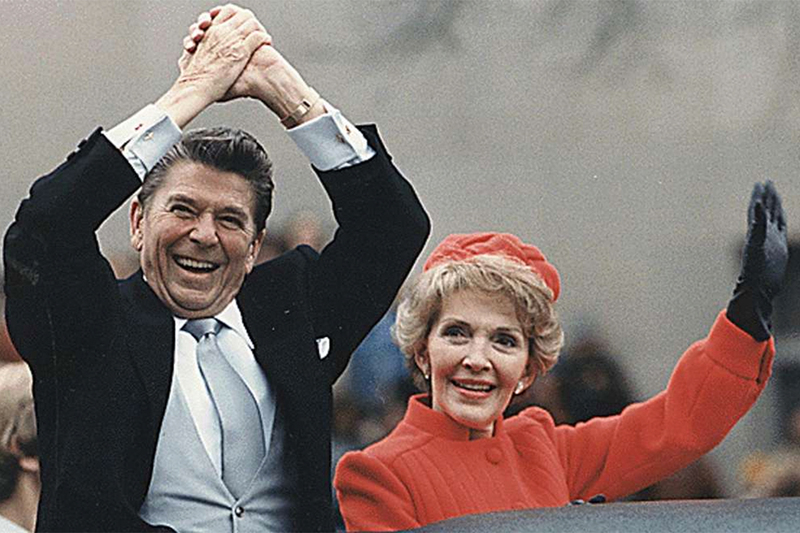 Nancy Reagan, who can only be described as a self-centered nasty individual who cares only for what is best for her husband. 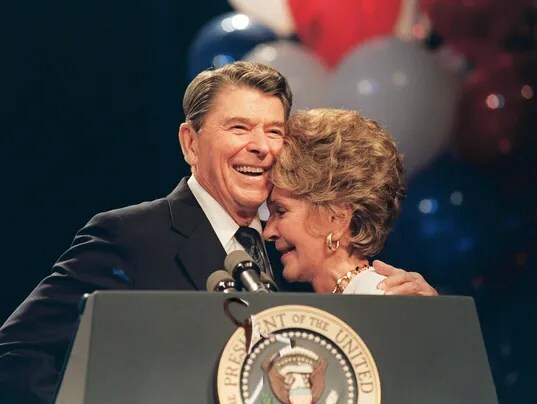 Mrs. Reagan seems to despise a number of people, particularly her husband’s Chief of Staff, Donald Regan, former president Jimmy Carter and his family, and most everyone else except for Merv Griffin who is her confidante. Nancy, known as “mommy,” within her small circle plans her husband’s trips, negotiations, and politics by consulting her “astrological” advisor and the description offered is extremely accurate. Mallon’s writing drips with wit and sarcasm, particularly in describing the “gaze,” that appears each time she looks over at her “Ronnie.” Her rivalry with Pamela Harriman, the wife of former Ambassador to the Soviet Union, Averill Harriman who recently passed away, is fascinating as two powerful women with different agendas describe each other in a rather petty fashion, and it appears that each has their own enemies list. Richard Nixon’s petty hatreds are also present for all to observe as he rehashes his past enemies list. The novel seems to center on arms control talks with the developing relationship between Ronald Reagan and Mikhail Gorbachev as the key component to producing a successful treaty. Many familiar historical figures are present; Secretary of State George Schultz, Secretary of Defense Casper Weinberger, NSC Head John Poindexter, arms negotiators like Paul Nitze and others are intermingled with a number of fictitious characters, like Anders Little and Anne Macmurray, divorced from a failed politician who has ties to the Contras in Nicaragua, as well as being an anti-nuclear activist. Aside from the arms talks, Mallon integrates many actual historical events of the period. The Senate vote concerning sanctions against South Africa, the Florida Senate race between Governor Bob Graham and Senator Paula Hawkins, parole hearings for John Hinckley, and constant allusions to the aids epidemic among the history of the period that is intertwined in the story. 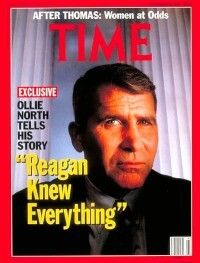 However, the most important issue that emerges are the events leading up to the Iran-Contra scandal. A number of the historical and fictional characters are involved with illegal aid to the Contras who are fighting the Sandinistas for control of Nicaragua. Oliver North and company make their appearance and a few fictitious individuals will inadvertently become involved. The history of the scandal Mallon describes follows the pattern of historical accuracy tinged with fictional dialogue. To enhance the novel Mallon employs Christopher Hitchens, an English journalist for the Spectator, who recently passed away from cancer as a vehicle to uncover information dealing with events and as a foil for a number of characters that moves the novel forward. In addition, British Prime Minister Margaret Thatcher appears to “buck up Ronnie” when things don’t go her way. Overall, the book is a fascinating read as Mallon provides real and fictional glimpses into how historical events evolved in 1986 and 1987. For history buffs the material will satisfy, and for general readers it is a tight and revealing portrait of personal relationships of the powerful and how they conducted themselves with so much on the line developing around them. As a student of history over the years I have studied and taught the 100 Years War between England and France in the 14th and 15th centuries, the 30 Years War in western and central Europe in the 17th century, and now Andrew Bacevitch suggests the 40 Years War in the Middle East that began in the 20th century and continues to this day. Bacevitch, a former career soldier and professor of history at Boston University, has written a number of important books on American foreign and military policy including BREACH OF TRUST, WASHINGTON RULES, AND THE LIMITS OF POWER explains in his new book, AMERICA’S WAR FOR THE GREATER MIDDLE EAST: A MILITARY HISTORY that the United States has been engaged in a war in the region that dates back to 1979 and is still ongoing. He has labeled this continuous struggle, the 40 Years War in which the United States has been involved in conflict in Iran, Iraq, Afghanistan, the Balkans, Somalia, Libya, and Yemen. After reading his latest work two questions come to mind. First, over the period discussed in the book, did the United States ever have an actual strategy? Second, did American military supremacy obviate the need for a strategy? After exploring Bacevich’s narrative the answer is a resounding no to the first question, and yes to the second as successive administrations relied on the latest military technology to achieve its goals as it careened from one crisis in the region to the next. For example, Bacevich describes President Clinton’s policy in the Balkans in the 1990s as “intervention by inadvertence,” and the NATO air campaign in the same region as “military masturbation.” Further, after discussing President George H.W. Bush’s approach to dealing with Saddam Hussein after forcing the Iraqi dictator out of Kuwait in 1991, Bacevitch describes United States policy as “occupation by air,” setting up “no-fly zones” rather than instituting a realistic approach to dealing with the situation on the ground. As the author traces America’s “War for the Greater Middle East” what becomes clear is the lack of a coherent strategy. Administration after administration succumbed to fallacies of their own making. Jimmy Carter hoped to develop a new foreign policy agenda of alleviating Third World poverty, resolving the Arab-Israeli conflict, and eliminating nuclear weapons. 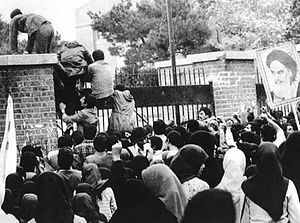 This agenda would be shattered by the Iranian revolution and a president who “lacked guile, a vulnerability that, once discovered, his adversaries at home and abroad did not hesitate to exploit.” Bacevitch provides an astute analysis of Carter’s overall foreign policy, focusing mostly on Iran and Afghanistan. Carter concerned for his own reelection would auger in the “Greater War in the Middle East” by announcing the Carter Doctrine which stated that “an attempt by any outside force to gain control of the Persian Gulf region will be regarded as an assault on the vital interests of the United States of America, and such an assault will be repelled by any means necessary, including military force.” Wonderful in theory, but American fecklessness was on full display in the Iranian Desert in April 1980 as it seemed that American planes and helicopters were playing bumper cars. The problem with the Carter Doctrine and subsequent American policy under Ronald Reagan is that it was based on the false premise that the Soviet Union coveted the Persian Gulf and possessed the will and capacity to seize it. The American response was the creation of a new command for the region called CENTCOM. Though created to deal with the Soviet threat, CENTCOM would provide the United States with a platform to launch and continue its wars in the region. What was also very troubling is that CENTCOM paid little attention to the Shi’ite-Sunni divide, the Arab-Israeli conflict, and the climate of the region in its planning. As the Cold War drew to a close, the Reagan administration shifted its focus from the Soviet Union to Iraq as public enemy number one, and did not take into account that state actors were not the only enemies that confronted the United States. For Reagan, Afghanistan seemed like a major victory as we contributed to the defeat of the Soviet Union. Another victory was supposedly achieved as we backed both sides in the First Persian Gulf War between Iran and Iraq, a policy we would pay heavily for in the future. But in endorsing the Carter Doctrine in stepping up American military activity in the region we achieved little of lasting benefit and over time we created an incubator for terrorism that drew the United States into a quagmire later on. As Bacevitch points out, by supporting the Mujahidin we helped foster Islamic radicalism and with our support Pakistan became a nuclear power. Further, by meting out punishment to Libyan dictator Moamar Gaddafi it led to bombings in Berlin killing American soldiers and German civilians and the downing of Pan Am flight 103 over Scotland and the death of hundreds of Americans. The Reagan administration was not just content with an erroneous approach in Afghanistan and Libya, its policy toward Lebanon was hard to fathom resulting in two separate incursions into the Beirut area resulting in further radicalizing Hezbollah and causing the death of 241 Marines. When the United States withdrew from Lebanon and engaged in the Iran-Contra scandal it reflected American ignorance, ineptitude, and a lack of staying power that Islamists would take note of for the future. Bacevitch digs deep in his analysis integrating American military strategy, the theoretical arguments between military men and their civilian overseers, as well as the application of strategies developed for the battlefield. Bacevitch explains military concepts in a very understandable manner and the conclusion one reaches is that conceptually American military planners were repeatedly off base in their approach. Bacevitch’s description of the cast of characters involved is very important and insightful. Whether discussing Generals Norman Schwarzkopf, Tommy Franks, Stanley McChrystal, David Petraeus, or others, the reader is exposed to personalities and egos that dominated military policy planning and implementation in an overly honest and blunt fashion. After 9/11 the United States immediately shifted from crushing al Qaeda and the Taliban in Afghanistan to the invasion of Iraq. Bacevitch argues that the Bush administration was fixated on Saddam Hussein, and did not accept or ignored the fact that the battle in Afghanistan was far from over. Afghanistan reverted to the back burner, another “phony war” that the United States ignited, but failed to carry to fruition and let simmer. Many have pondered why the United States invaded Iraq – was it about oil, weapons of mass destruction, or humanitarianism? Bacevitch correctly places these reasons aside and concentrates on the American intent on establishing the efficacy of preventive war. Washington was going to assert the prerogative that no other country had – overthrowing any government the United States found wanting or as it is better known as, the Bush Doctrine. This premise was based on the fallacious conclusion that the Islamic world could easily adapt to democracy, limited government, a market economy, and respect for human and woman’s rights no matter what their opponents argued. For the Bush administration Saddam and Iraq fit this paradigm perfectly. 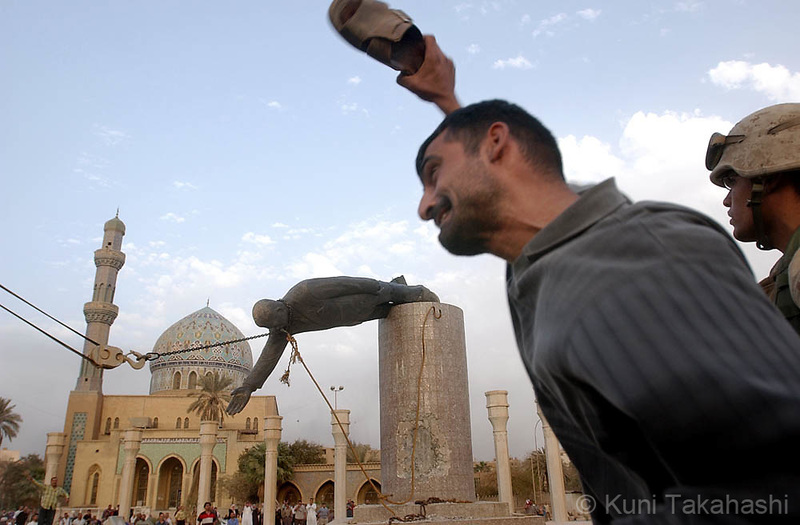 The United States invaded Iraq not because of the danger it posed, but because of the opportunity it presented. Bacevitch explores in detail all the key aspects of the war from its outset, to the capture of Saddam, the Shi’ite-Sunni civil war, to the “surge,” and again what is clear is American incompetence be it the fault of Bush, Cheney, Rumsfeld, Bremmer, Franks, or others. Bacevitch’s overall evaluation of the Obama administration’s Middle East policy is harsh, but extremely accurate as the President seemed to continue Bush policies. First, Obama was committed to the withdrawal of American troops by the end of the 2011 deadline that Bush had negotiated with the Iraqi government. However, as troops returned home from Iraq, many made a “U-turn” and were sent to Afghanistan, or for many who were redeployed once again to Afghanistan! During the Obama years the “Greater War for the Middle East” was confronted by three important changes that had major implications. First, after almost 40 years of war, an “Iraqi Syndrome” developed with the reluctance to put American troops in harm’s way. Second, the turmoil from the Arab Spring. Lastly, the chasm that developed in American-Israeli relations. Obama has had a great deal of difficulty navigating these changes. A surge was tried that accomplished little but increasing American casualties. Support for aspects of the Arab Spring resulted in little improvement in Egypt and other Arab autocracies. Problems with Israel became a partisan political football in both countries and an inability of leaders to work with each other. Further, the Obama administration resorted to decapitation in Libya that has been disastrous. Finally, the administration dithered over the civil war in Syria and looked foolish when it did little to enforce its own “red line.” It seems that Obama’s strategy is wrapped up in special operations and drone attacks, not really conducive to improving America’s reputation in the region and the overall Islamic world. In closing, Bacevitch has written an extremely important book that policy makers should consult very carefully. Granted, the author has had the benefit of historical hindsight in preparing his arguments. But one cannot negate the intelligent conclusions he puts forth. If you would like to gain insight and understanding of the 40 Year War, consult Bacevitch’s narrative because as events in Libya, Syria, and Yemen continue, it does not seem as if this war is going to end in the foreseeable future. As Bacevitch states in his conclusion; the perpetuation of the “War for the Greater Middle East” is not enhancing American freedom or security. It is accomplishing the opposite, but hopefully one day the American people will wake up from their slumber regarding its prosecution. Until that time the wars in the region will not come to an end.